Ezt a terméket eddig 736 alkalommal vásárolták meg! SCHO-KA-KOLA creates power and revives! In Germany, the chocolate snack with natural caffeine extracted from cocoa, cola nuts and coffee has been around for a long time. At the beginning of the 20th century, it was known as "the chocolate for athletes and pilots". 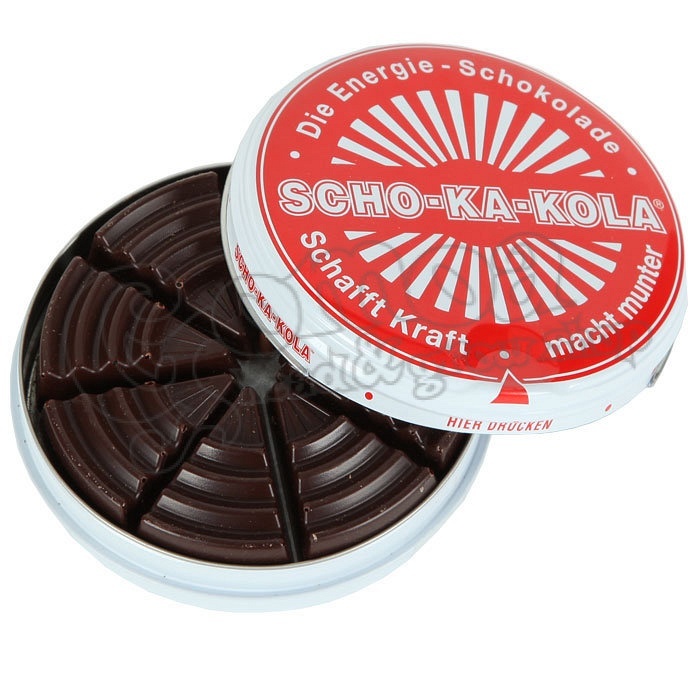 Today, the registered trademark and the recipe belong to SCHO-KA-KOLA GmbH, which is based in Hamburg Norderstedt and also markets the product. The original energy chocolate that comes in a tin stands for high quality and enjoys a unique status in Germany. The recipe has not been changed since the brand was established. SCHO-KA-KOLA has always been sold in the famous round tin with the striking red and white ray design. 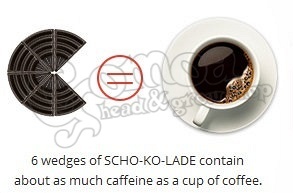 Each tin contains 16 melt-in-the-mouth wedges of SCHO-KA-KOLA. It has a unique recipe, which contains natural caffeine extracted from cocoa, cola nuts and coffee, and provide a mental boost for more energy and concentration. 4 pieces of Scho-Ka-Kola contain about as much caffeine as a strong espresso and 6 pieces contain about as much caffeine as a cup of coffee. The cola nuts make SCHO-KA-KOLA such an energy booster. They are the fruit of the cola tree, which grows mainly in West and Central Africa and contains considerably more caffeine than ordinary coffee.